Mufti Mohammad Sayeed is the patron of Peoples Democratic Party (PDP). He formed the party in July 1999 to “persuade the Government of India to initiate an unconditional dialogue with Kashmiris for resolution of the Kashmir problem”. He has previously been a member of the Congress party. In 1986, Prime Minister Rajiv Gandhi appointed him Union Minister for Tourism. In 1987, Meerut riots, as a protest against the complacency of the Congress party, he resigned as a Union Minster and later from the Congress. He went on to co-found Jana Morcha with V P Singh, which became Janata Dal. In 1989, Janata Dal-led coalition of parties, namely, National Front, came to power, which led to his becoming the first Muslim Home Minister with V.P. Singh as the Prime Minister. After the disintegration of Janata Dal, he rejoined the Congress under P.V. Narasimha Rao. When his attempts to get the Centre to open talks with Kashmiri people did not bear fruit, he once again left the Congress in 1999 and founded PDP, a regional party in Jammu & Kashmir. In a short time, under his leadership, PDP came to power in the state and he became the Chief Minister of Jammu and Kashmir in 2002. Mufti Mohammad Sayeed was born in Baba Mohalla at Bijbehara in January 12, 1936. Having graduated from S.P. College in Srinagar, he went on to obtain a degree in law, and a post-graduate degree in Arab History from Aligarh Muslim University. He started a law practice in Anantnag / Islamabad. In the late 1950s, he joined the Democratic National Conference (DNC) led by G.M. Sadiq. He was appointed district convener of the new organisation, the first formal post he held. Mufti Mohammad Sayeed was elected to the Assembly from Bijbehara in 1962, and retained the seat in 1967. As a result, he was appointed a Deputy Minister by G.M. Sadiq. In 1972, he became a Cabinet Minster and also Congress party’s leader in the Legislative Council. In 1975 he was made the leader of the Congress Legislature Party and president of Pradesh Congress. In 1986, he was appointed as the Union Minister for Tourism and Civil Aviation by Prime Minister Rajiv Gandhi. He quit as tourism minister in 1987, left the Congress and co-founded Jan Morcha with V.P. Singh. In 1989, he won the Lok Sabha election from Muzaffarnagar in Uttar Pradesh as a Janata Dal candidate and became the Union Home Minister in Prime Minister V.P. Singh’s cabinet. In 1998, Mufti Mohammad Sayeed won the Anantnag / Islamabad Lok Sabha seat, but soon resigned from both his position and the Congress party to launch a regional party Peoples Democratic Party in the state. He was unanimously elected the first president of the party. 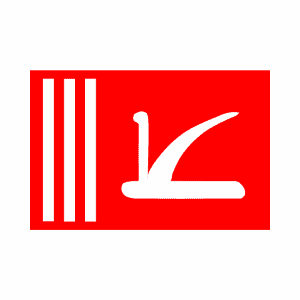 PDP participated in 2002 assembly election and went on to form a coalition government with Indian National Congress. In 2002, Mufti Mohammad Sayeed was sworn in as the Chief Minister of Jammu and Kashmir for a term of three years. Under his visionary leadership, PDP has now emerged as a dominant force in Jammu & Kashmir politics.